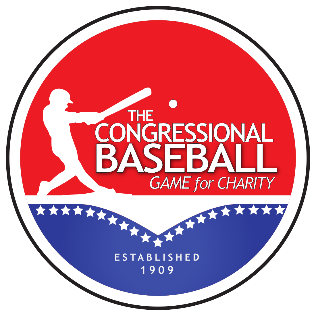 The 57th Annual Congressional Baseball Game for Charity will be held at Nationals Park on Thursday, June 14, 2018. Members of the media who wish to receive press credentials should submit their request by 5 PM on Monday, June 11th, 2018. If you plan to broadcast live, please include the details of your plans. There is limited stand-up space available in the stands for live broadcast. This is subject to additional approval and we will not be able to honor all requests. Approved stand-up broadcasters will be allowed to meet players for stand-up interviews before and after the game in the stands near the outfield, however, CSC will not be coordinating the interviews with players. Members of the press wishing to interview players should make arrangements with their press shops for interviews to happen immediately prior or after the game. Those interested in podcast or radio recording may do so, however, there is no special space reserved for this purpose. The timing of entry to the park will be based on the completion of the security sweep and we will have an estimate closer to the day of the game. For security purposes, no one will be granted field access. Press credentials are limited to the media only. You must receive an email confirmation one day prior to the game with additional information. There will be no admittance for those without a confirmation email. Video broadcast requires additional permissions. The Press Box will not be open, but free wireless internet is available at Nationals Park for reporters wishing to file a story. Do you plan to broadcast live or record with a video camera at the stadium? If yes, please provide more details. Reporter/Journalist without Equipment (beyond notebook, pen, laptop or phone)? Check if yes.